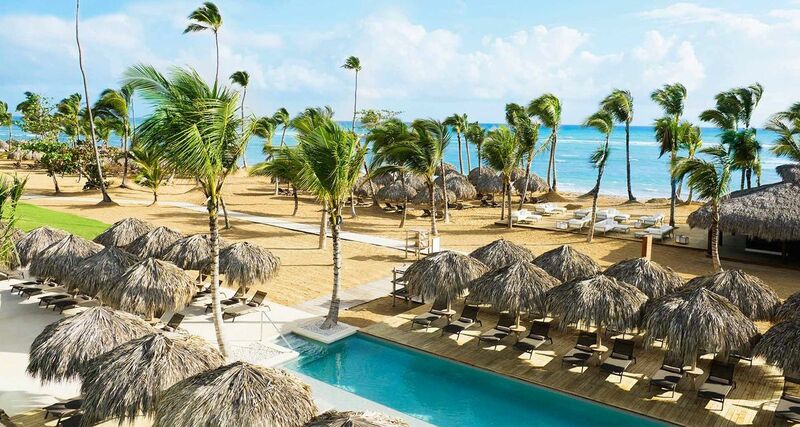 The new Excellence El Carmen resort in beautiful Punta Cana ups the ante for just how luxurious an all-inclusive resort can be, ideal for an adults-only destination wedding. 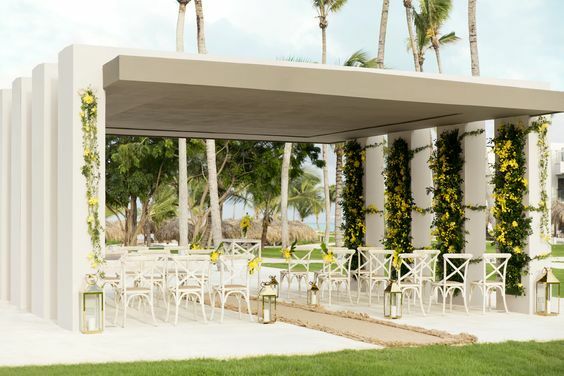 Glistening tile accents from the marble-covered lobby mesh with artsy Caribbean inspired decor throughout, will make your Excellence El Carmen wedding ceremony shine. 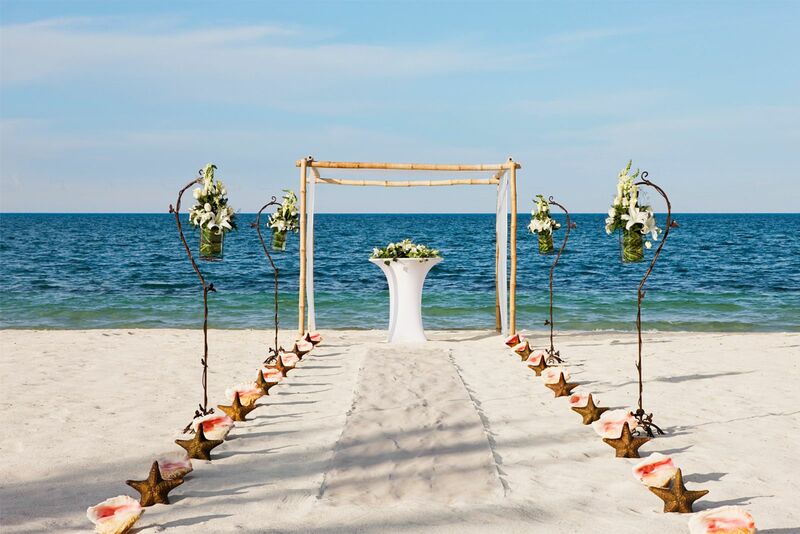 Your guests will love the contemporary touches, and the half-mile-long wooden boardwalk that stretches the duration of the pristine beach, and features lavish sunbeds throughout. The weekly Dominican-themed dinner is an authentic introduction to local flavors and is held on the beach, weather permitting. Excellence has more than 12 restaurants and 20 bars. For an elegant cocktail reception, try the lobby’s stylish bar with stunning resort views, or perhaps book a group wine tasting? The entry-level Excellence wedding package becomes complimentary when you reserve a Finest Club Junior Suite Ocean View category or higher for a minimum 7-night stay, or a bridal party with 5 rooms of any category for a minimum of 7 nights each. The Excellence upgrade ads further luxury amenities, including access to 9 extra pools. Upgraded packages, additional guests, and add-ons are available for an additional cost. $160 – $280 average price per person per night. Rooms include private balcony or terrace, daily restocked minibar, and rain shower for 2 guests. 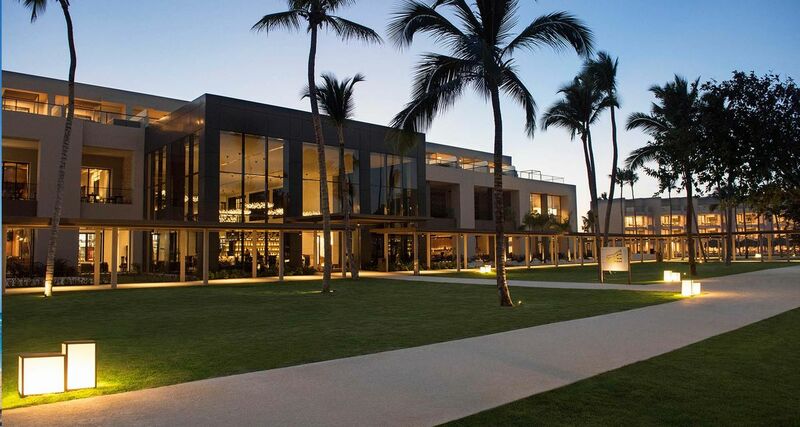 There are 452 rooms with resort, direct-pool, and ocean views. Mobility-impaired guests can happily be accommodated at this resort, with a pool that features ramp entry, and wheelchair access to the beach’s boardwalk. Beach – 70 guests max, Beach Gazebo – 70 guests max, Stone Gazebo – 70 guests max. 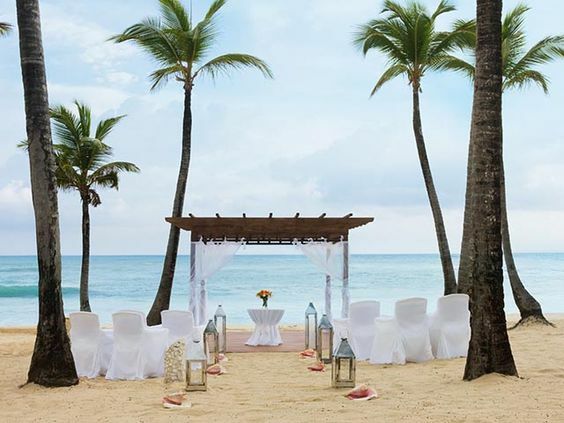 Excellence El Carmen can host up to 3 weddings per day at 11am, 3pm, and 5pm. To book a specific venue with a certain date in mind, it is highly recommended to book at least 6 months in advance. The busiest months according to the wedding department are April, May and November. “This is a beautiful tropical resort. The service is outstanding and exceeded my expectations. Every person that works here always greeted me with a smile and went out of their way to cater to my every request. The food was good, especially in The Kitchen Table.